Many say that Training is a great art and science. Training innovatively – can be a challenge. Not all professors are good trainers. They also need to be trained, sometimes along with the “students”. 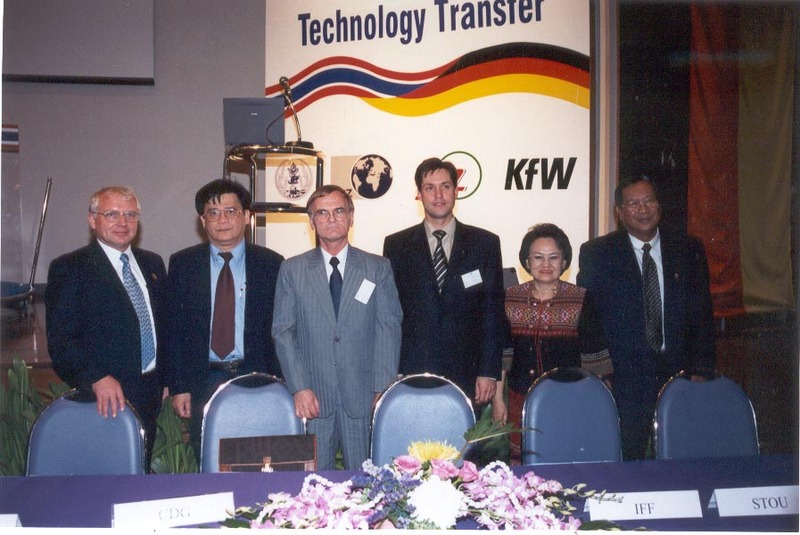 My good old friend Dr Guenter Tharun introduced me to his training technique– Project Case Work (PCW) – years ago in Bangkok. 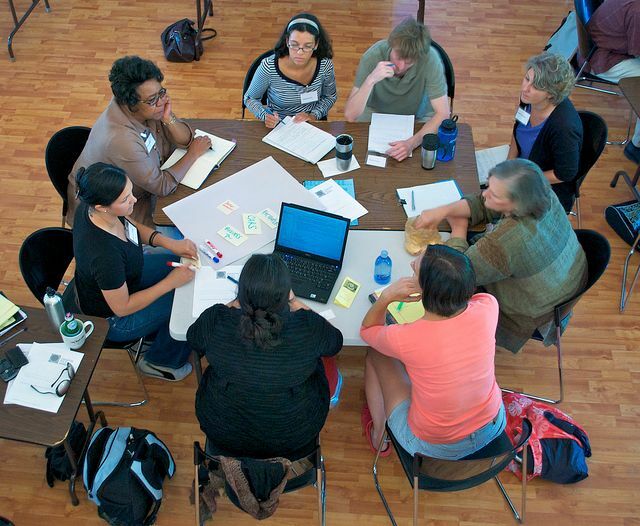 PCW is a method of training participants through a semi-real situation. Participants are divided into groups of 6 -8 and are supported by a facilitator. PCW is all about “problem solving” over 3 to 4 days working in a group, under pressure of time, competition and with limited information. Learning while doing is the principle. PCW is generally triggered by an event e.g. a company receiving a notice from the Pollution Control Board. The notice could be about frequent violation of the effluent standards. This notice leads to an extraordinary meeting of the company’s management board. The Managing Director of the company chairs the meeting. The participants are provided with a mock notice and transcripts of the management meeting. Sometimes, a video clip is created to make the situation look “real”. The meeting discusses various options and arrives at a decision of revamping the effluent treatment plant (ETP) ASAP. This seems a logical quick fix! Just then, one of the of the Board members asks “How about checking whether we are generating excessive amount of effluent? May be we are overusing rinses, not recycling water enough or missing opportunities for recovery of solvents” This question leads to a twist. An intense discussion takes place and the Production head who was earlier only listening – gets into a volley of questions. The Managing Director decides to mobilize a team to look into this “new perspective” immediately. So each team working on the PCW is given the task of finding a “solution” for the company that helps reduce effluents, reduce cost of ETP, save water, recover heat and materials and increase profitability. The focus thus changes from “downstream” to “upstream”. To do this, participants need to be trained while they are “solving” the problem. Training is therefore needed in a well-designed learning path. The problem solving process is divided into milestones. These milestones include preparing a plant layout, process flow diagram, setting material and energy balance, identifying focus areas, developing pollution prevention options using Ichikawa diagrams, conducting pre-feasibility, shortlisting and prioritizing options, carrying out extended cost-benefit analyses, preparing implementation plan, financing, monitoring and reporting etc. These topics of the “learning path” are covered in not more than 20 minutes (so we call them as “lecturettes”) and are delivered through lectures spaced over 3 to 4 days. If faculty crosses 20 minutes, then the participants are asked to clap! The faculty are essentially the facilitators. Generally, they arrive night before and we conduct a faculty orientation workshop. A separate guidebook is provided to the faculty on PCW and the “solutions” – earlier. The faculty do not refer to the problem at hand. Through the lectures, the “students” are expected to understand the basics or fundamentals and apply the knowledge acquired to the problem that they are trying to solve. The lecturettes are delivered in plenary mode where all participants sit. After a lecturette is done, participants move to separate rooms in groups for the PCW. Each room has a white board and flip charts. A central place is kept for tea and coffee. After working on the PCW for say an hour and a half, participants reassemble at the plenary to listen to the next topic or the lecturette. So after the lecturette on “how to set material and energy balance”, the groups work on data provided for the case and attempt calculations. Learning thus goes in a structured way and the group work moves “up the ladder” step by step. It thus becomes a blend of progressive and retrospective learning. By working in a group, the participants learn how to express individually, how to work in a team and how to reach a consensus. At the end of PCW, new friendships are made. Thats the added value. See below a diagram that shows the structure of PCW with four groups participating. To do the PCW, data on the case work is needed. This data is provided in an implicit form (like field notes, pages from annual reports, water and electricity bills etc.). The data are often incomplete, forcing the participants to make assumptions or do surfing on the internet. Sometimes, a separate room is created as a knowledge room where “data” is kept for “purchase”. Each team is given a budget to purchase data or get information – This is an important facet of learning about what data or information to buy and what not. Sometimes, a resource person moves around with a hat. This person provides “knowledge” at no cost but the advice provided, may or may not be correct. The groups need to take a call. So it can be a challenge. At the end of the 3 to 4 days of learning while doing, the groups get ready to present their “solution”. PowerPoint presentations are prepared by each group. Presentations are made to the Jury consisting faculty and some external invitees. A winning group is then declared and generously rewarded (like bottles of black label whisky). The program for the 3 / 4 days is full. After the day long sessions, additional sessions are conducted with games, karaoke, short films etc. Sometimes coaching is provided on how to make PowerPoints, How to use Excel efficiently etc. In some cases, a field trip is organized in one of the afternoons depending on the location. Each PCW is customized to the topic and the participants. I remember we ran a PCW for the students of Environment, Energy, Industrial Engg and School of Management at Asian Institute of Technology in Bangkok at Khao Yai resort over 4 days. The topic was cleaner production. Here the professors from these schools also participated. This PCW gave students an integrated perspective on “production and pollution”. The faculty from the four schools got “indirectly” trained. A PCW was run on ISO 14001 EMS at Tagaitay near Manila targeting the Small and Medium Enterprises (SME). At the end of PCW the SME were both motivated and capacitated to implement ISO 14001 in their companies. A PCW on community based action plan was run in Laos. This PCW was based on the principles of Green Productivity. I trained 25 directors of National Cleaner Production Centers (NCPC) in Berlin using a PCW approach. The theme here was how to establish and operate Cleaner Production Centers. PCW can be assisted by providing easy to use software tools. These tools help in making quick scenarios and get into discussions. Examples of such tools are SimAir, Wisewater, and SimWaste etc. Write to me if you are interested in these tools. Sometimes, PCWs are created on a real situation. In Hong Kong, I created a PCW by spending a week at an electroplating workshop. When this PCW was conducted, owner of the electroplating workshop attended the final presentations as a member of the Jury! Later, participants visited the electroplating workshop to see the “real” situation. The owner rewarded the winning team by plating their wristwatch bands at no charge! Sure he got some bright and shining ideas from the PCW! And that was the deal. I love the PCW approach. It’s by far the most effective way I have come across for training simultaneously on concepts, processes and tools that we often look for in environmental management. Kudos to Dr Guenter Tharun. I fondly remember the numerous beer sessions I used to have with him at “Papa’s shop” in AIT in the 90s. Let me know if anyone is interested to know more on PCW. I will be most pleased to help, conduct or participate. Given the buzz on “Sustainability” however, many corporate honchos such as Anand Mahindra, Kumarmangalam Birla, Cyrus Mistry of Tata and other such environmentally conscious industry leaders thought to select gifts that can bring in a difference and distinguish them from others. “The gifts should communicate sustainability on a day to day basis and lead to some impact or a measurable change” – they said. This led to flocking of many environmental consultants to the procurement divisions of the corporate offices. Several propositions were made such as an eco-friendly Tee shirt made from the farms in Maikal, a table stationary set made out of waste from Dharavi, an organic jam or honey made by tribes in the hills of Matheran etc. The choice was difficult to make as many provided reports on the life cycle analyses of their products which were hard to believe and were generally built on data not relevant to India. My Professor friend was simply in demand because of his expertise, far sighted vision and reputation. He was approached by several corporates and personal calls were made by the Birlas, Tatas, Mahindras and Ambanis. Everyone wanted the Professor to come up with some brilliant idea of a product that will show a great example of sustainability. A tooth brush! – Are you crazy? I exclaimed. A tooth brush cannot be a Diwali gift. What’s the sustainability element in a tooth brush? In fact I suspect it may be reverse!! We all know the dentist tells us to change our toothbrush when it starts to get shaggy; about every three months. We also know that we are lazy, and not aware that timely changing the tooth brush matters. We probably only change a tooth brush once a year. So every year, we should expect 16.2 million tooth brushes “bought and thrown” in Mumbai alone, buried in the landfills of the city. I said – Agree that tooth brush is a serious issue. But what is the option then Professor? Sustainably produced bamboo has the potential to be one part of the solution. 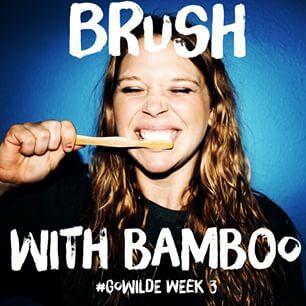 Bamboo fiber can be used to completely replace the plastic used for toothbrush handles. Professor said. I remembered the electric toothbrush. These brushes are often touted as more eco-friendly than disposable conventional tooth brushes because only the head needs to be replaced, which means less landfill. The materials used in rechargeable electric toothbrushes are similar, in fact with additional components including a plastic base, plug and power cord. The internal motor, which moves the bristle head, can contain nickel- and chromium-bearing alloys. Electric brushes are commonly powered by an internal rechargeable nickel-metal hydride (NiMH) or nickel-cadmium (NiCa) battery. Both have environmental impacts over their lifespan. Research from Bath University, England, found that electric powered brushes use around 0.072kWh/day, equivalent to the energy use of a toaster. So electric tooth brush is no good an option! An estimated 50 per cent of the total “ecological costs” of a manual plastic toothbrush, and 60 per cent of the lifetime energy requirements for an electric toothbrush, are incurred during the manufacture and distribution phases, compared to the usage and disposal phases. In comparison, the handle of bamboo brushes are made from moso bamboo, a rapidly renewing plant which requires little water. This bamboo is farmed, not old growth bamboo, has natural antimicrobial properties and no pesticides are necessary for growing it. Moso Bamboo is sourced today largely from China and India has only recently started looking at Moso bamboo cultivation on a scale it deserves. A carbonization finishing process, which provides water resistance and prevents the growth of microbes on the toothbrush, is the only component of the ecological costs of using bamboo. The bristles of the bamboo brush are made from a nylon 4 blend. Bamboo brushes break down into compost, leaving no residue, including the nylon bristles. Japanese researchers have shown that nylon 4 breaks down in compost within four months, while nylon 6 does not that is used by the conventional tooth brush. Packaging is also another consideration. Conventional manual toothbrushes, and replacement heads for electric toothbrushes, are generally packaged in a ‘blister pack’ of polyvinyl chloride (PVC) and cardboard, while bamboo toothbrushes come in biodegradable paper box with a compostable in commercial facilities wrapper made of Polylactic Acid derived from corn. Being concerned about the issues in industrial corn production involving genetic manipulation, fertilizers and pesticides, some of the bamboo tooth brush makers are making the switch to a plant-based Cellulose wrapper that does not use corn. By the way, only 50% of the Indian population is known to use modern oral care products and only 15% brush of teeth twice a day… And so the market is going to grow. 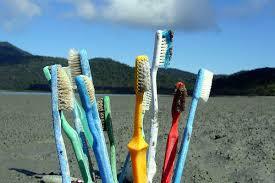 It is estimated that 700 Million toothbrushes are sold every year in India. HLL and Colgate-Palmolive account of 70% of this market but they only make conventional manual tooth brushes and now the electric tooth brushes. I asked Cyrus Mistry to speak to Harish Manwani of HLL and Nambier of Colgate- Palmolive and convince them to start manufacturing Bamboo brushes in India. And if they don’t show interest then I asked him take on manufacturing Bamboo tooth brush as a Tata product. 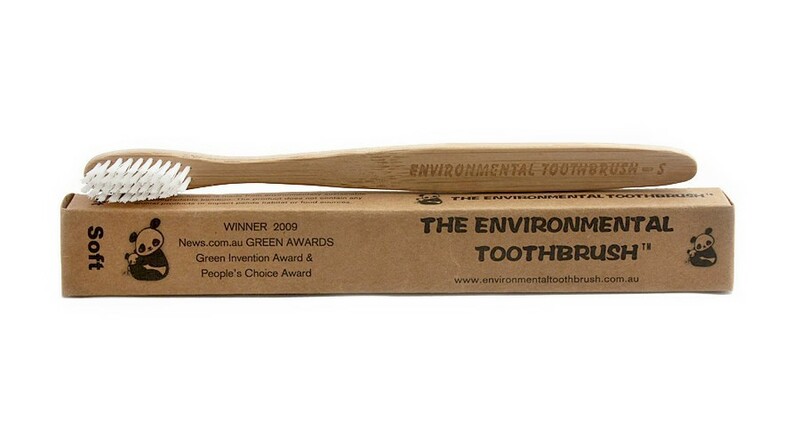 So this year, who will supply Bamboo tooth brush as a corporate gift in India? I asked. Well, this year it will have to be sourced from China. Of course at the cost of added carbon emissions in the shipment. I only hope that Chinese don’t invade this market and will be too late for Indians to get in. Hmm I said – Interesting point of caution. “All those who will receive these tooth brushes as corporate gifts, will think of sustainability as the first thing in the morning when they start brushing their teeth. Before the advent of the nylon bristle, our forefathers used to rely on nature. While the Indians were known to use Neem tree twigs (Datoon) the Chinese preferred the tough hair off the neck of a Siberian Boar!!! The Miswak sewak is the natural way people in the Middle East, Africa, and Asia have cleaned their teeth for centuries. 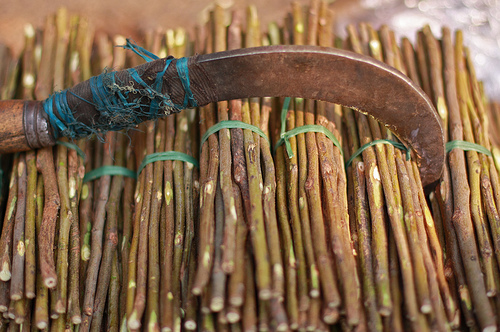 The bark is peeled off the tip of the stick from Asian Arak or Peelu trees, olive or walnut trees and the end chewed to separate fibers to rub on the teeth. As the fibers wear, the tip is cut off and the end peeled and chewed. Miswak sticks get in between crevices in teeth, promote tooth remineralization and strengthen enamel, are antibacterial and prevent infections, and promote saliva and blood circulation as the sticks are chewed. They contain minerals, alkaloids, vitamin C and calcium. Neem Sticks are the version of the Miswak sewak that residents of India have used for centuries and many still use today. Last week, India’s Union Environment Minister Mr. Prakash Javdekar got a gift from President Obama’s office on his birthday. The gift was an advanced mobile phone with several “green” features. Minister called me to his office. He was very excited to show me the new mobile phone. The Minister smiled “Don’t get so nervous Dr Modak. Do you know that this mobile contains least quantity of metals? 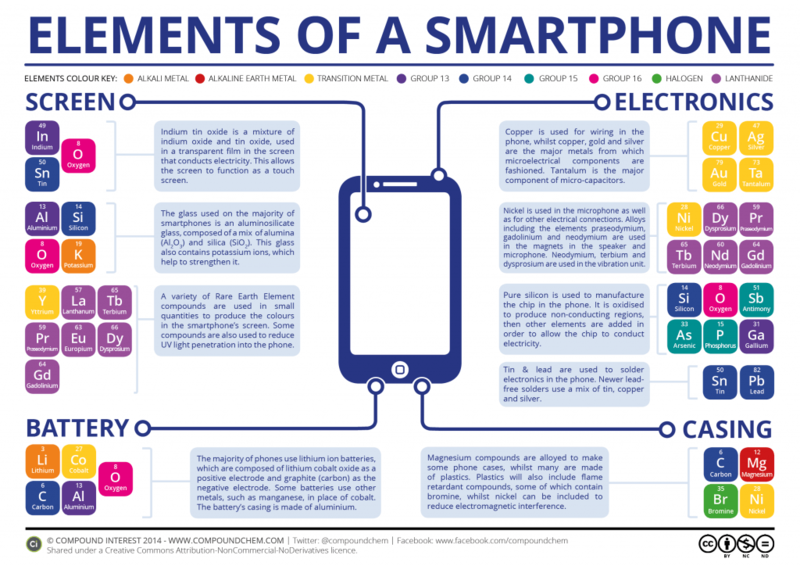 An average mobile phone contains 24 mg of gold, 250 mg of silver, 9000 mg of copper, 3800 mg of cobalt and 9 mg of palladium. (See http://www.metalminemedia.com/p/gold-in-cell-phones-average-mobile.html). This mobile phone contains only half. Less metal content means less extraction of rare earths, reduced risks to mobile phone users & the environment and lesser costs of treatment and disposal of the discarded mobiles. And low content of metals makes this mobile phone real cheap. The Minister was not in a mood to listen. “Oh Minister, such solar battery chargers are already in the market and not doing well” I said this while inspecting the solar cover of the Green phone. The solar cover generally requires high-maintenance. As long as it’s snapped onto the phone, it will convert direct sunlight into electronic energy, but it isn’t effective through glass. Further, the battery maker promises a charge if you hold the phone at a 90-degree angle to the sun. Some estimate that you’ll receive 20 minutes talk time only after an hour of sun worship. Do you expect to stand for an hour in the sun holding this phone at 90-degree angle just to show that you are eco-friendly? You’ll have to be outdoors for at least 30 minutes on a sunny day. I know you have a lot of free time now as you have introduced self-regulation on environment in the country (meaning less enforcement) but for the sake of impressing others you cannot say that you can spare so much time – although this will be of interest to the environment. And remember that most people will use conventional chargers in addition, as a stand by. 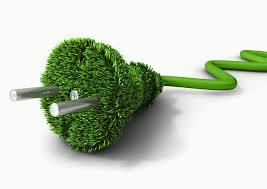 So solar powered charger will be more of a fashion and in fact add more burden to the environment. You are so negative he said. Did you work with Times Now? Now let me show you something revolutionary. The Minister opened a miniature secret slot using a toothpick on his table. Look here – this is the slot where special Nano fibers are plugged into this mobile set. These Nano fibers can detect key air pollutants in the air. He then pressed a blue button on the mobile phone. I saw a chain of digits scrolling over the screen. The digits were so erratic that it resembled the stock prices of the Bombay Stock Exchange, especially when the RBI Governor and the Finance Minister simultaneous speak. Indeed, the Minister said in a triumphant voice. All the users of this phone will not only be able to view the air quality data but can transmit this data to our NIC Central server. A real time GIS based map will be created for every city. This data polling can happen every 10 seconds if you like. Millions of mobile phone users in India will thus send billions of digital data on air quality they breathe. We will analyze this data and issue warnings. If the values exceed the standards, the mobile phone will beep and alert. The Minister continued as he saw my gaping face. I have asked Obama’s office to include two more additional channels – one for carbon monoxide and other for noise. I started wondering about the impact of such a Nano-mobile device. Imagine people carrying such a mobile phone in movie theaters, A/C buses, A/C railway coaches etc. These people will be really upset if they come to know what poor quality of air they are breathing. This would lead to less number of people going to the theaters and spend time more productively. I couldn’t resist saying “Yes Minister, this will simply revolutionize air and noise quality monitoring in the country. You can even shut down the Pollution Control Boards as if they matter. But processing of 10 second data pouring from a million of mobile phone users in the city like Mumbai alone will be so challenging. Also won’t it make the price of the mobile phone a bit higher? Plus there will be issues on the accuracy, upkeep and maintenance of such a sophisticated device etc. How perfect is the Nano-technology? I have thought about your concern already. The Minister said. “Oh, they said – that’s what they currently do!” The Minister said with a smile. 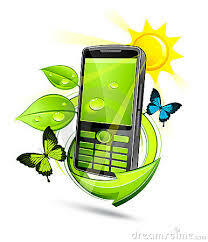 Indeed, design of mobile phones is getting greener today considering the significant environmental and social impact they cause in their life cycle. Innovations are happening to cut down the metal content without any functional compromise. Low impact batteries have also been the focus. Research and application of Nano-technology for environmental monitoring is also catching up. The days of such a revolution are not far away.. So one day Mr. Prakash Javdekar will actually launch India’s first Green Phone. We should be building a pilot Citi-Sense in India. It fits into Prime Ministers vision of Smart Cities. Anyone interested to join with me? I received an invitation to speak at an International Conference at Alexandria in Egypt. The Conference was organized by Professor Ahmed Hamza and his wife Samia Saad. My friend Jim Gallup from US AID had organized the funding. He ran the EP3 project that focused on Industrial Pollution Prevention. I was very excited as I had never traveled to Egypt. Besides, I knew Ahmed and Samia very well and so the sponsor – Jim. I was teaching at IIT Bombay. We had a Ph D Student from Alexandria. His name was Hamdi Saif. When I told Hamdi that I have an invite from Alexandria, he was excited. “Sir, I will accompany you to the Egyptian Consulate and help you get the Visa on priority. Are you flying our national airline Egypt Air?” He asked. Next week, Hamdi took me to the Egyptian Consulate in Mumbai. We saw the Counseller in his office. The Consular and Hamdi had a conversation in Arabic and I could sense that Hamdi was telling him importance of this meeting and how internationally sought expert I was (essentially marketing me!). The Counseller got me a strong Egyptian coffee, spoke about how Egypt and India have great ties and how I will enjoy visiting Egypt and that I should not missing going to the Pyramids and taking a cruise on the river Nile. I told him that both these items were on my priority list. Then in his loud voice and a friendly smile, the Counseller personally stamped Visa sticker on my passport page. After this was done, he pulled out a Mont Blanc pen from his shirt pocket and started writing in Arabic on the stamped page. “Oh, don’t worry – it’s for the good” –The Counseller laughed and handed over to me the Passport. Next week, I boarded flight to Cairo on Egypt Air. I said Alexandria. I told her that I plan to take the Desert Bus from the airport. Shaheen, that was her name, said that queues at Immigration in Cairo can be very long. It could be simply exasperating. She was getting a friend, a senior official from Egyptian Army of the rank of Major to whisk her out. “Just walk with me and I will get you out of the turn through immigration and customs like a breeze. “Oh this is just like in India” I said. 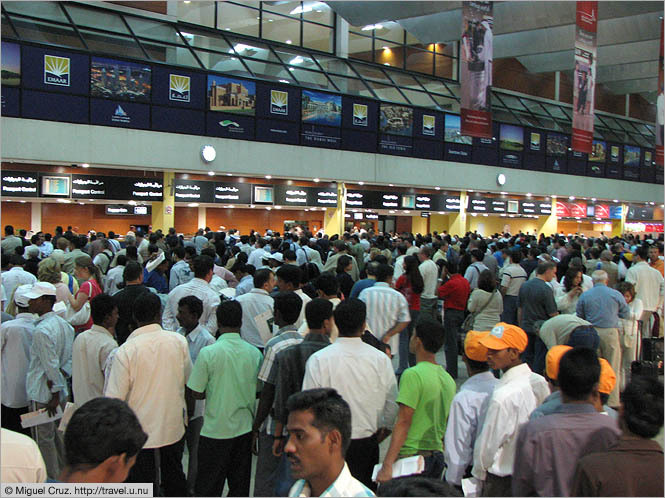 I had seen many of VIPs going through immigration and customs at Mumbai moving out in a brisk. Indeed, the queue for immigration at Cairo was “looong”. Shaheen smiled. We were greeted by a tall handsome Egyptian Army man, flashing on his uniform a lot of decorations. Shaheen spoke to him in Arabic and explained “my case”. The Man from Egyptian Army asked for my Passport and disappeared. In just five minutes, he returned with our passports duly stamped. Here you are Sir he said. All done and you are ready to go. We exited the airport and Shaheen was kind to drop me at the bus station of the Desert Bus. I reached Ramada hotel in Alexandria in the next 3 hours – the Venue of the Conference. Ahmed and Samia were there to greet me and Jim was around too. The Conference was “standard”. We had more fun outside the conference room. 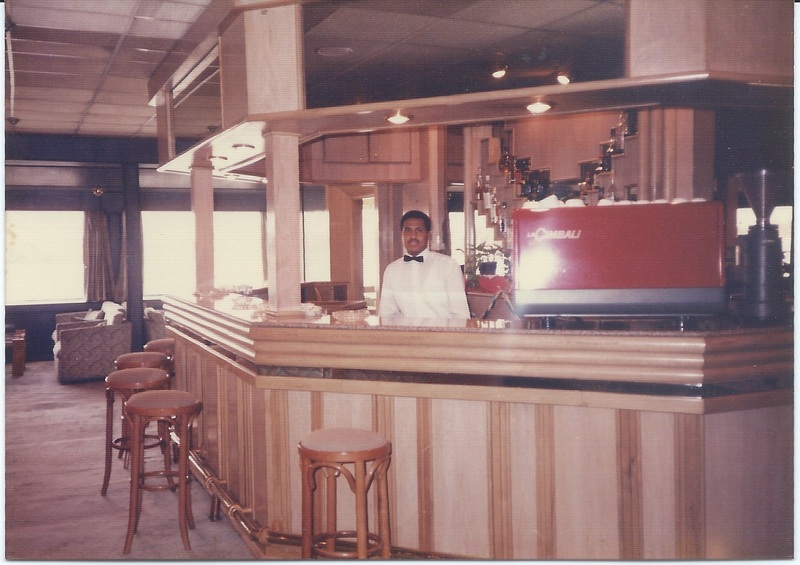 In the evenings we used to go to nice places to eat and relax on the chairs next to the meditarian sea. After the conference, we moved to Cairo and stayed at hotel “Pyramids”. After a day’s stay in Cairo, we flew to Aswan and got into River Cruise on the Nile. The Cruise was luxurious as it had its own golf course, a swimming pool, a bar and even a bus. There was in-house belly dancer too! The cruise sailed along taking various stops for sightseeing which we used to do with our Bus. While on the Board, Jim had organized brainstorming sessions where we discussed the environmental business of the next 20 years. I thought it was a great idea. The discussions gave me a good insight about “tomorrows environmental business”. We took a stock of whats happening now, challenges faced and opportunities ahead. I haven’t come across such discussions or forums in India. We really need such meetings. 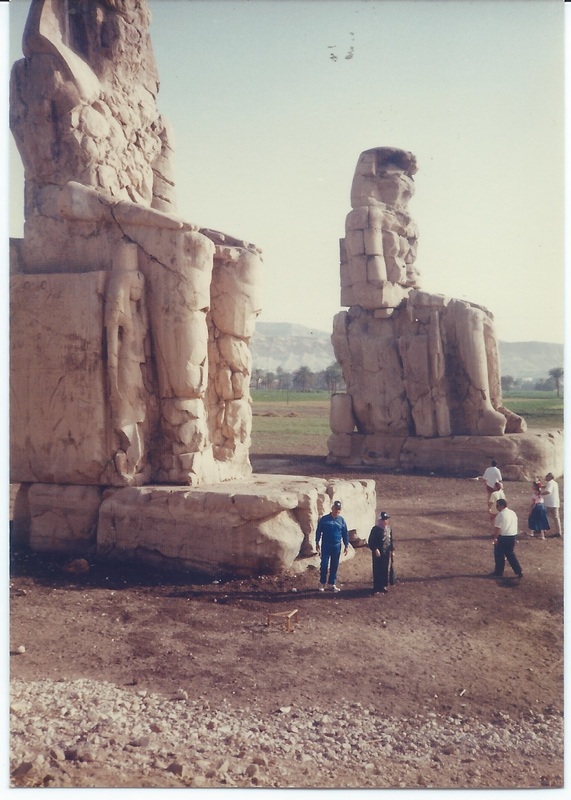 We reached Luxor where the cruise ended. I was to take a flight like most others from Luxor to Cairo and then connect to Mumbai. How come? – Hamza said in a voice of concern. You must have been informed by the office of Immigration and Customs when you entered Egypt. I explained to him the story of my VIP entry. I realized the gravity of the situation at once. I went to the post office at the Luxor airport, found a phone, called my wife and said “I may be a bit delayed. Perhaps by a couple of days”. Apparently, the Egyptian laws were very strict when it came to notifying police in time and declaring foreign exchange. I reached Cairo from Luxor. That was just fine. But the issue was immigrating out of Cairo to Mumbai. I was to fly Emirates via Dubai. I stood in the queue with my heart beating heavily. Sir, a stern looking immigration officer asked me “Where is the stamp from the local Police station”. Apparently, if you stay less than 7 days in Egypt, then you don’t have to. I was exiting Egypt on 8th day. I requested the officer to excuse me “Just a slip of a day Sir, I could not get earlier flight” I made most apologetic face. The Officer did not like my defense. Where is your Customs Clearance Certificate? He did not say Sir this time. “I don’t have one as I did not bring in the country Foreign Exchange” I said. Apparently, if you don’t bring in Foreign Exchange then such a certificate is not necessary. (Actually, I was carrying few hundred dollars in my wallet. A body search would have shown that I was lying blatantly). “Carrying no money and travelling on the Nile Cruise Eh? He looked at me suspiciously. “Please fall out of the line. We need to talk to you. You cannot take this flight” He said in an icy tone. He then got up, shouted in Arabic. I moved out of the line. A huge Egyptian Immigration Officer then walked in. He took my passport from the Immigration Officer who was interrogating me. His face was even sterner. He reached page of the Visa in my passport. He saw the page and then looked at me. He looked once again at the passport page. He seemed to melt! He shouted at the desk officer in Arabic. Then he turned to me and said in the most apologetic tone. Oh, so that’s what the Counselor in Mumbai wrote on my Visa page with his Monte Blanc ! I realized the power of that pen. Wow!!! Sir is an important Guest but has no money (that’s what I had said!). Please serve him some sandwiches and juice – this will be complementary from the airport. I was relieved and embarrassed at the same time. This was a story in 1992. I visited Egypt after this “episode” at least two dozen times. The Immigration rules have changed and not that rigid any more. In each of my visits, I never jumped the queue – not just in Egypt but anywhere else in the world! I always stood in long queues and with patience. You don’t get to see or meet friendly counselors very often!! Do you?